It’s officially summertime, and summertime means popsicle time, amirite?? 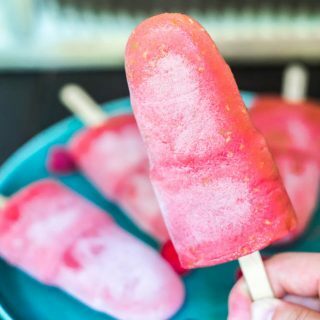 Unfortunately, popsicles that are found in your good ol’ grocery store usually contain a boatload of sugar and while they are, in fact, undeniably delicious, they are definitely NOT healthy. So, how does one solve this sad dilemma? Is it even possible to create a cold icy sweet treat to cool you down AND be completely healthy? The answer is a big fat YES! 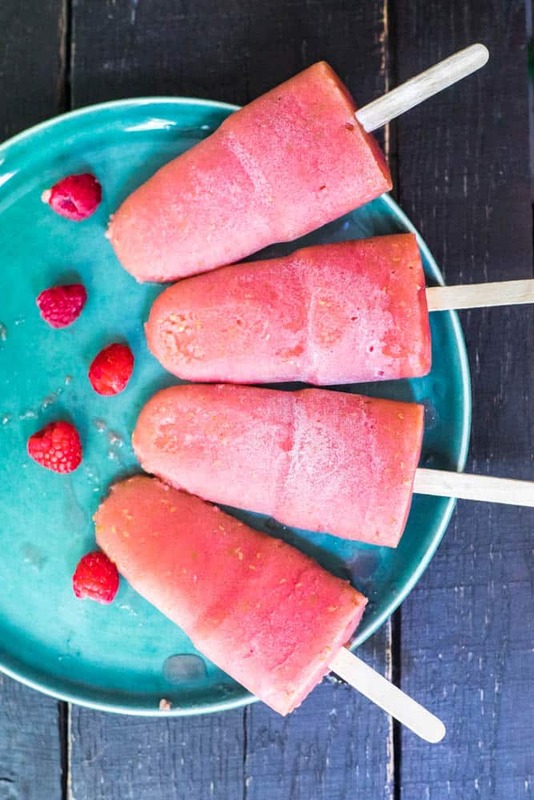 Our 2 Ingredient Apple Raspberry Popsicles are here to save the day. Or save the summer to be more exact! So, when I say that it’s a two ingredient apple raspberry popsicle, do I literally mean two ingredients? Why, yes. Yes, I do. Basically what these popsicles are, are two delicious nutritious whole fruits blended together and then frozen. Another one of those not-even-a-real-recipe recipes! Ha! 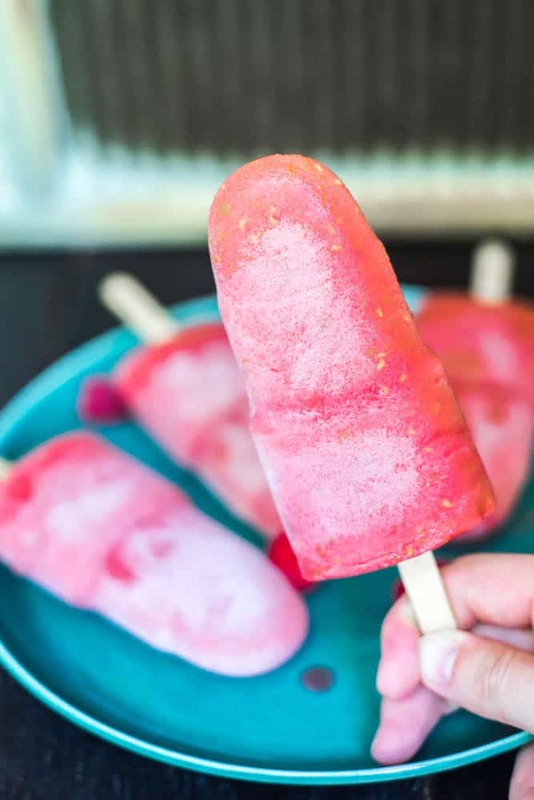 The main thing that makes our fruity popsicles healthier than some other ones I’ve seen floating around the interwebs, is the fact that we used whole apple, skin and all – giving you all that fibery goodness that gets lost when you use apple juice instead. And I’m here to tell you that it tastes just as yummy! We’re obsessed with Granny Smith apples at the moment. They’ve always been my favorite kind of apple, but lately I’ve probably been eating two a day. During the early weeks of my pregnancy the very first thing I puked up was an apple (too much info, sorry)! Anyway, it caused me to totally HATE apples for a while, but now …oh boy, the love I’ve always had for them has come back two-fold. It’s this apple-love comeback AND the heat and humidity that inspired this little treat. It’s such an amazing feeling to eat a delicious popsicle and know that it’s literally awesome for your health! Of course, I have to note that granny smith apples are pretty tart, which is what I adore about them. So, if you want your popsicles to be less tart, more sweet – go for a red, or golden delicious apple! 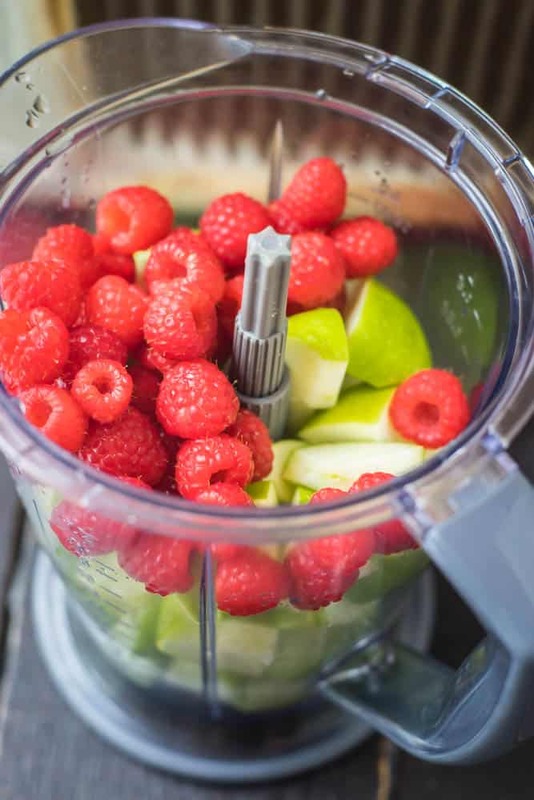 Blend all the ingredients together until it's as smooth as possible. 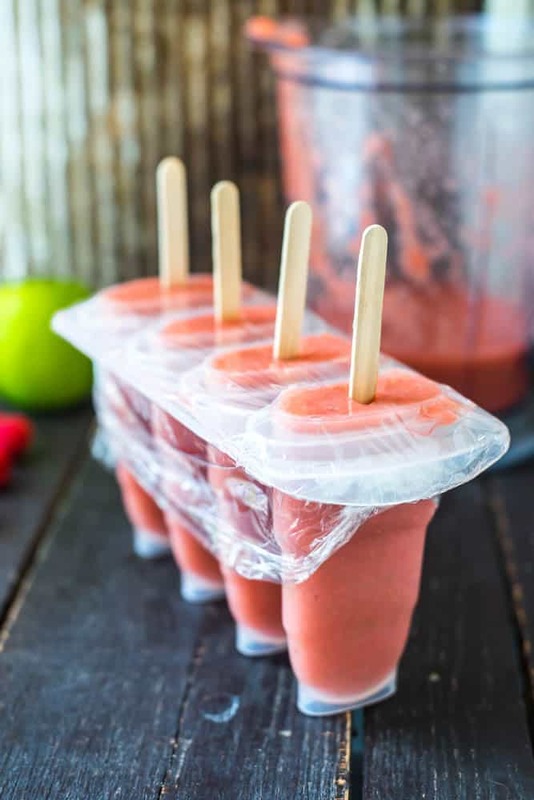 Pour into popsicle moulds and cover with plastic wrap to keep this popsicle stick up right.